Kettner Exchange has joined the ranks as the latest culinary addition to the Little Italy neighborhood. 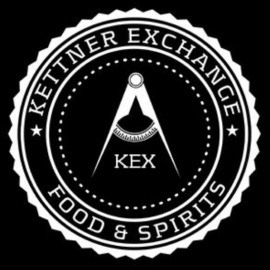 From the people who brought Syrah and Analog downtown and Firehouse to Pacific Beach, owner and restaurateur Matt Spencer introduces Kettner Exchange, boasting progressive American cuisine and a unique menu of craft cocktails. This $3.6 million project will have multiple niches for dining and lounging, including the only rooftop lounge and patio in Little Italy with views to San Diego Bay. 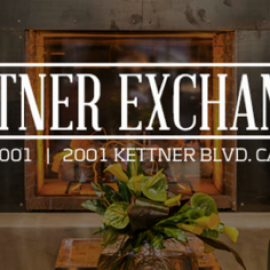 Daily live music, great eats and distinctive drinks will comprise the Kettner Exchange experience out the gate. Award-winning Head Chef Brian Redzikowski brings sophistication and unparalleled experience to the restaurant. Redzikowski has worked for some of the best restaurants and chefs in the country, including New York City's acclaimed Le Cirque 2000 and the 17 million dollar Yellowtail Restaurant in the Bellagio Hotel and Casino. Redzikowski's expertise paired with Bar Manager Steven Tuttle's knack for creatively acclaimed cocktails will make Kettner Exchange a culinary destination in San Diego. In a nod to San Diego's early history, the restaurant is named after William Kettner, a congressman in the early 1900s credited with bringing the military to San Diego. The space will have a few nautical touches like an early 20th century map of San Diego Bay embellishing a darkened mirror on the wall and ceiling as patrons enter the restaurant. The restaurant boasts two levels of indoor/outdoor drinking and dining, filled with subtle nods to the City’s great bay and nautical history. Corporate Executive Chef Brian Redzikowski’s rotating menu features some of the most innovative dishes.